From birth to the first words, your baby will have a lot of ground to cover, and a lot of learning to do. Words do not appear out of nowhere. In fact, well before the first words, your child will be practicing. It is up to you to help him. For the first couple of months, your baby’s sounds will be mostly cries, giggles and squeals. However, gradually, you will start hearing some different sounds. At first, those sounds will resemble vowels, like “ah”, and “ee”. The baby will first do those sounds by accident, but will enjoy hearing those sounds, and this will prompt him to continue. As time passes, the baby will start moving his tongue, and jaw in different ways, gradually creating new sounds, and sound combinations. This is what is called “babble”. As a parent, what is your first reaction to the child’s babbling? Maybe you are responding as if he was purposefully saying words, and will simply continue a “conversation”. Although the baby won’t understand what you are saying, he will enjoy this vocal exchange. He will often stop babbling when you talk, and start when you stop. That is the beginning of turn taking. Have you also repeated the same sounds the child does in his babbles? If he says “bababa”, you repeat the same “bababa’'? Just as if you were responding with real words, this will encourage the child to listen, wait his turn and babble again. Although this repetition of the babbles is probably quite spontaneous for you as a parent, you might have heard a well intentioned relative commenting that by repeating those sounds, you are using “baby talk” and you are preventing the child from learning real words. This is a common misconception that might be valid if the child were actually trying to say words, and you were also replacing words by unrecognizable sound combinations. However, at this stage, the baby is not yet talking, and not yet trying to say words: he is merely playing with sounds, and by repeating those sounds, you are simply playing along, making this practice period, a pleasant experience. Don’t hesitate to make a pretend conversation with your baby, or to play along by repeating those sounds. This is a healthy way to prompt the child to continue practicing those sounds that will soon enough, become real words to communicate. 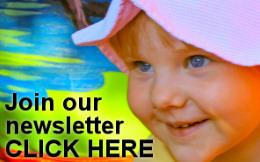 Make sure you don't miss anything; click HERE to subscribe to our mailing list. ← What is a word? Are you concerned about choosing the right toy for your child? from the Canadian Toy Testing Council. See what toy you should consider and which one you should avoid. I have been working as a speech-language pathologist for over 30 years now, mostly with children. For 19 years, I worked in a clinical setting, with children who had various types of speech and language delays. Since 2002, I switched to a community setting where we offer various activities and programs to parents and caregivers to guide them in helping their child progress in their language development. Whether children have language delays or not, they still need guidance to learn everything they can about language and communication before their first day in school. If you have questions about language development, keep an eye on this site for resources.